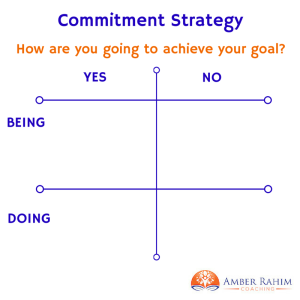 Following on from my recent posts about Deciding and Doing, this week I want to share with you a technique for creating commitment to actually do the things you have decided to do. To shift from deciding to doing. This is a tool that I use with my clients, that my coach uses with me. When you have gone through this with your coach a few times, you can even do this effectively for yourself. Making a list of things to do is easy. In the path to actually doing them, people often forget about one important thing: what are you going to stop doing? And what are you going to stop being? Whatever you plan to do, your attitude determines whether you will succeed. “If you think you will fail, you will. CTI developed a matrix to get clarity on this, as well as what we want to do and want to be. Here’s my illustration of the matrix. 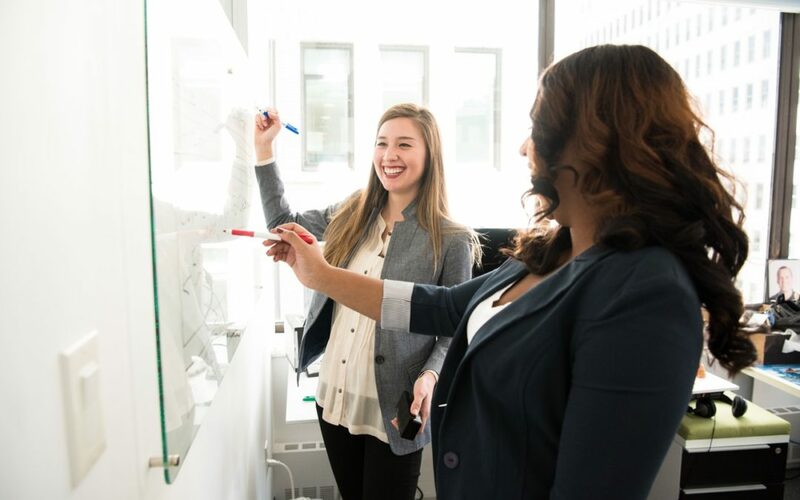 You can use this to brain storm and let the ideas fly, then pick the ones you really want to do, right now. 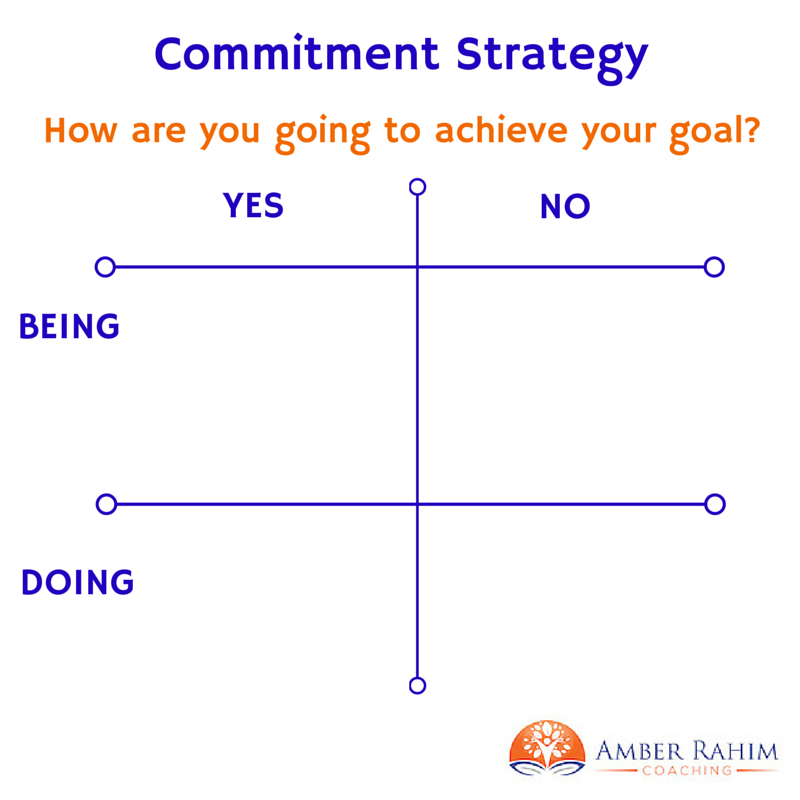 What are you saying yes to doing? What are you saying no to doing? 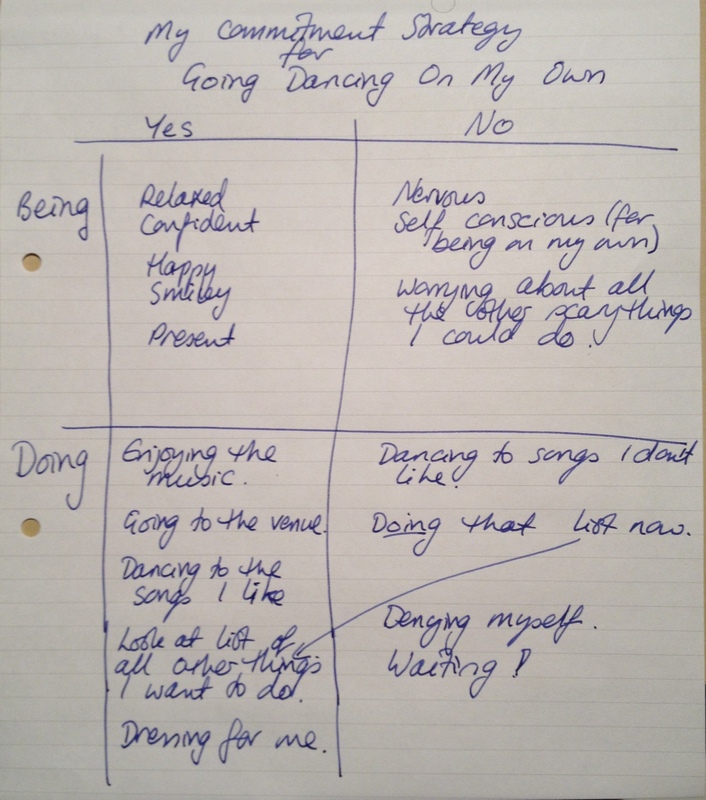 What are you saying yes to being? What are you saying no to being? I’m going to illustrate this with my most recent example, going dancing on my own. 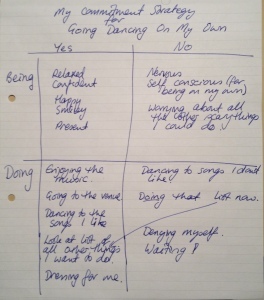 This is the matrix I made (ok, I confess, I wrote this out again neatly and in my best handwriting just for you. You’re welcome). Saying NO to the list of all the other things I want to do that are scary. That is, is was a “no for now”. That list was not going to get in the way of dance time. Saying NO to waiting. It had been too long since I had been out dancing. Saying YES to going to the venue and dancing to the songs I liked. If I didn’t like it, I could always leave, but I would at least go. So think of something that you want to achieve and then fill in the matrix. Ask yourself what it is that you could do/not do to achieve that goal. What kind of person are you going to be when you do it? I still have that feeling of confidence and control over my life. It wobbles every now and then, that’s just part of life. But my matrix helps me when that wobble appears and when I’m feeling confident and relaxed, I fly. This is absolutely fantastic Amber. So simple yet so effective. I’m sure to use it on myself and with clients. Feel free to pass it on Noa. Have a joyous and creative 2015. Perhaps we will meet?